The Angostura Fizz might be one of the strangest classics ever. With its lovable Pepto-Bismol tone and science fair winning tower of bubbles, it perfectly represents the weird sort of stuff people can convince other people to drink, if those people claim it wards off some sort of infectious disease. But, despite its strange and somewhat frothy corner in history, the Angostura Fizz isn’t really something we reach for often. It doesn’t have a base spirit, and calls for too many heavy ingredients. Fortunately, we have the Trinidad Sour: a drink that looks and tastes like a loving contemporization of the funky classic. 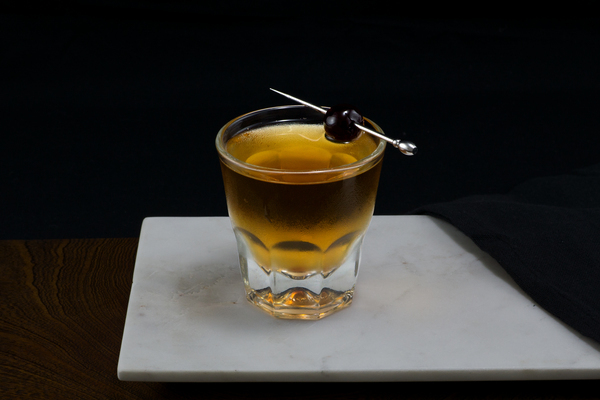 Created by Giuseppe Gonzalez, the Trinidad Sour feels like an Angostura Fizz, but with several alterations that really move. It axes the egg white and heavy cream, tosses in orgeat, and best of all, adds a bit of rye. Whiskey might seem like an odd addition to a drink like this, but there is a precedent. 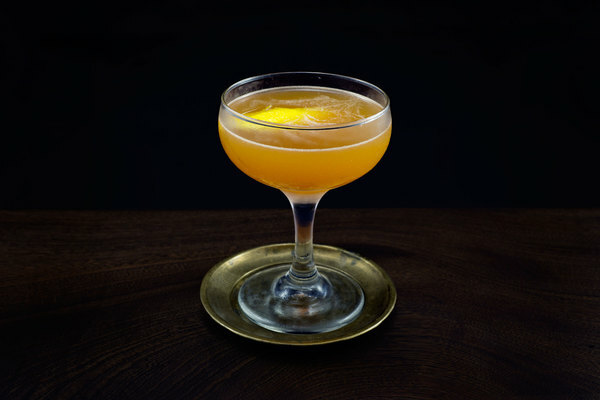 Another classic, the lion's tail, combines whiskey, citrus, and a concoction not too unlike Angostura: allspice dram. 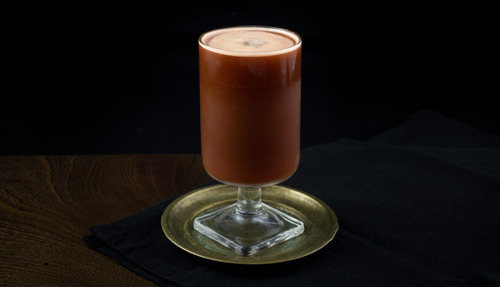 Most recipes for this drink request a full ounce of orgeat, but we found that a bit sweet. Here, we’ve reduced the orgeat by a quarter ounce and replaced it with a bit more rye. If you don’t have orgeat, it can be procured at most specialty liquor shops. Small Hand Foods makes a good one, as does El Guapo Bitters. If you can’t find any, consider making it yourself. Like the Angostura Fizz, this drink is best very cold. Shake well over lots of ice. 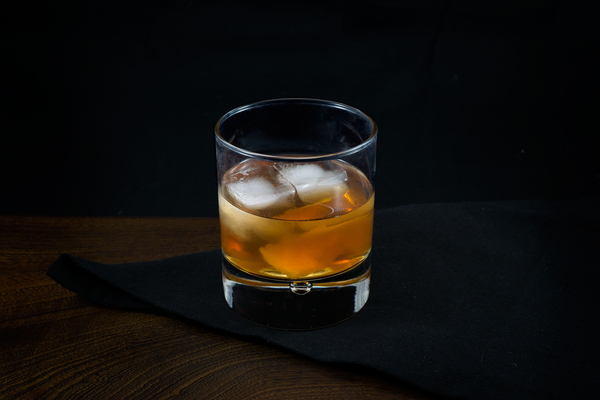 We’ve seen several recipes that replace the rye with rum. While we haven’t verified this ourselves, we can certainly verify that it seems like a good idea.